Listen up, Lowcountry ladies. 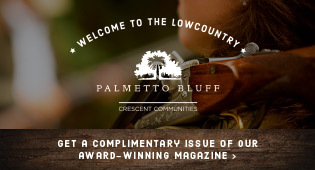 The sensational workout you’ve been hearing about or enjoying at Shelter Cove Towne Centre on Hilton Head Island is now in Bluffton, too, conveniently located in the Kroger Shopping Center in Belfair Towne Village. What does this mean to you? It means you now have two opportunities to experience the fitness phenomenon that is taking the nation by storm. Franchise owner Kara Raehn, who birthed her first Pure Barre studio on Hilton Head Island in November of 2014, opened the Bluffton studio in June of this year. She admits she is “obsessed” with sharing a routine that changed her body and her life and has the power to change yours, too. When you sign up at either location, she welcomes you to enjoy both studios and attend the classes most convenient to you, wherever your day might take you. The sense of belonging: One of the most frequently cited differences between Pure Barre vs. other fitness facilities is the overall feeling of being a part of something larger than oneself—a part of a community, where you are embraced like family. The physical challenge: The Pure Barre technique is the fastest, most effective, yet safest way to change your body. In just 55 minutes, you will achieve a full-body workout, concentrating on the areas women struggle with most: hips, thighs, seat, abdominals and arms. Each strength section of the workout is followed by a stretching section to create long, lean muscles without bulk. The technique works to defy gravity by tapering everything in and lifting it up. A common misconception is that it is ballet-like or dancy. While music drives the class and dictates pace, no toe shoes, tutus or dance skills are required. The barre is used as a tool to facilitate moves and provide balance. If you can hold onto it, you can participate. “Everything we do is small, isometric movements that help shape and define your muscles. There’s no jumping, no bouncing. One foot is always planted on the floor, meaning there’s no pressure on the joints, making it a safe workout for women of all ages,” Raehn explained. The escape: Beyond the physical benefits, the concentration involved while taking Pure Barre allows you to block “life” out for the hour, creating the mental benefits of yoga or meditation but without the chanting and mantras. You will be moving the whole time, which makes the hour fly by, and you will leave feeling like Superwoman for having challenged your body while giving your mind and spirit a break. The instruction: Another definitive difference is that the instructor is not there to get her own workout. As opposed to simply leading, she is truly teaching: cuing, demonstrating, and circulating the room—discreetly correcting form without calling anyone out—to help each student achieve best results. Instructors offer plenty of encouragement, frequently reminding the class, “You are stronger than you think,” and they are always available before and after class to answer your specific questions or help you individually. “If you’re struggling with an injury or recovering from surgery, we can help modify so that you are able to participate in class. That is one of the things our instructors do best,” Raehn said. Instructors circulate the room, discreetly correcting form for your best results. The results: The Pure Barre workout is not for sissies. It’s hard work, but it comes with a payoff like no other fitness routine in town. Results include weight loss, muscle definition, more functional strength, greater flexibility, and renewed confidence—all wrapped in the arms of a supportive fitness family. What’s not to love about that? If you are brand new to Pure Barre and a local resident, you can try a week for free. By participating in three classes that week, you are eligible for $20 off an introductory month, normally $99. That’s five weeks for $79! Once you fall in love with the workout, a variety of membership options are available. 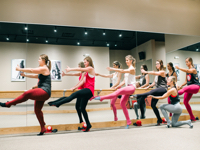 Pure Barre Hilton Head Island is located at 38 Shelter Cove Lane, Suite 129, in the Shelter Cove Towne Centre. For more information, visit purebarre.com/sc-hiltonheadisland or call (843) 785-7888. Pure Barre Bluffton is located at Belfaire Towne Village. For more information, visit purebarre.com/sc-bluffton or call (843) 815-6015. •	Wear pants, leggings or capris (no shorts) and a top that covers your midriff. •	Wear “sticky” socks (grip socks) to keep your feet from sliding (socks are available for purchase if you don’t have them). You will be asked to remove your shoes before entering the main studio. •	Bring a bottle of water, a small towel if you like, and a good attitude. •	Arrive 15 minutes early to get oriented and settled before the workout begins. •	Give yourself permission to be a beginner. It takes a few classes to catch onto the technique, and remember that every student in the room started where you are.